… our posts to the Digital Scholarship @ Leiden Blog. Please check there for new posts on datamanagement, open access, open science, impact and many more. But don’t worry, this blog will stay in place until we have found a nice home for all our content. CESSDA ERIC (the Consortium of European Social Science Data Archives European Infrastructure Consortium) has created an Expert Tour Guide on Data Management. The guide is aimed at social science researchers who are in an early stage of practising research data management. It pays special attention for instance on the processing of both qualitative and quantitative data, ethical issues and the processing of personal data and data protection. This guide adds to a growing number of online courses on data management. See for instance this MOOC on Research Data Management and Sharing. Ther e is a lot of interest in datamanagement nowadays from different points of view: research quality, open science, reuse of data, big data etc. Leiden University is running a three years programme to implement the data management policy. Many people within the University are involved in data management support for researchers. Some are called datamanagers, others might be data stewards, data engineers or data librarians. Job descriptions, tasks and skills vary from one person to the other, but we all help to improve the quality of data collection, modelling, analysis or access to the data. Are you one of those people? Join us for this informal gathering! Wan t to learn more on the coming about of our data services catalogue? Liber Quarterly has published our article “Fostering effective data management practices at Leiden University”. “To ensure that scholars can genuinely make a reasoned selection among the many tools that are currently available, we developed a central catalogue which lists and characterises the most relevant data management services”. “The catalogue currently provides information about, amongst many other aspects, the organisations behind these services, the main academic disciplines which are targeted and the accepted file formats and metadata formats. The various aspects of these facilities have been classified using terminology provided by conceptual models developed by the UKDA, ANDS and the DCC. Using Leiden University’s policy guidelines as criteria, the overall suitability of each service has also been evaluated. “The catalogue of data management services also aims to bolster the implementation of an adequate technical infrastructure, as the qualitative evaluations of the services enable policy-makers and developers to quickly establish gaps or other shortcomings within existing facilities”. The catalogue is further developed by the Facilities and data infrastructure working group of the Dutch National Coordination Point RDM. Interested to learn more? Please contact the Centre for Digital Scholarship at cds@library.leidenuniv.nl. Slides of Peter Verhaar’s presentation on the catalogue at the Liber Conference in Helsinki, Juni 2016. See also our previous blogpost on the catalogue. In a previous post on this blog we mentioned the new data management protocol by NWO. NWO requires that applicants write a data management paragraph in their proposal and a full data management plan once granted. Leiden biochemist Remus Dame participated in the data management pilot prior to the protocol and wrote an exemplary DMP. 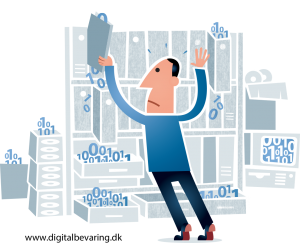 In an article in NWO Hypothese (“Data in de etalage”, in Dutch) he tells about his experiences with data management planning.To lead by example he also published his data management plan in our repository (Data management plan VICI, in Dutch). Read the English translation of the article in Hypothese here. NWO and the European Commission have recently broadened the scope of their data management requirements to all funding instruments and thematic areas. This actually means that open research data will be the standard. Both funders acknowledge however the need for specific projects or data collections to ‘opt out’. Key principle is to be open when possible, to protect when needed. The European Commission and NWO conducted open research data pilots for a specific number of funding programs in the last couple of years. They did so in order to increase sustainable access to and re-use of research data, taking into account commercial interests, Intellectual Property Rights (IPR), security, privacy and ethical concerns and preservation questions. Projects participating in the pilot answer some questions on the nature and availability of the research data generated in the project in their proposal. After the project is granted, a full data management plan has to be provided. In April this year, some findings of the Horizon 2020 pilot were presented at the Designing and shaping open science symposium in Amsterdam. It appeared that a majority of the projects in the core areas participated in the pilot (65,4 % of 3699 signed grant agreements). Another 11,9% of projects from other areas chose to opt in on a voluntary basis. It also appeared that for many researchers it was not clear that participating in the pilot doesn’t necessarily mean that all data has to be open, nor that ‘open data’ is always evaluated positively. On the contrary, as Celina Ramjoué, head of the Open Access sector of the European Commission, stated in her presentation: “in theory, it is possible to be in the ORD Pilot and not open any data!” Project members can decide which data to make openly available and when, as long as they justify their decisions in their data management plans. Main reasons for projects in the H2020 pilot to opt out were, besides not generating data, the protection of IPR and privacy issues. Now that the first lessons have been learned from the pilot programs, NWO and the European Commission have come up with new guidelines. All cal ls for proposals that NWO publishes after 1 October 2016 will contain a data management protocol. The data management protocol consists of two steps: a short section in the proposal that has to be elaborated into a full data management plan within the first four months after the proposal has been awarded funding. The approval of the data management plan is a prerequisite for NWO disbursing the grant. Costs of data management are eligible for funding and should be included in the project budget. NWO has created a template for this plan that matches the (former) guidelines for data management from Horizon 2020 as closely as possible. The European Commission embraces the FAIR principles for all thematic areas of H2020 as of 2017: all data derived from EU-funded research projects should be Findable, Accessible, Interoperable and Reusable. Therefore a ‘FAIR’ section has been added to the data management plan template in the new guidelines, focusing especially on the documentation and standards needed to find, understand and reuse the data. The good news is that the plan now applies to projects rather than to individual data sets as it did before. It still is a deliverable required in the first six months after the start of a project. Costs associated with open access to research data can be claimed as eligible costs of any Horizon 2020 grant. 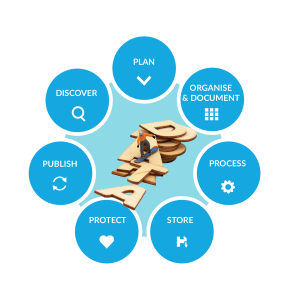 The H2020 data management plan template is integrated in the online tool DMPonline. Researchers planning their data management now have several templates to serve them: the NWO template, the H2020 template and the University template (not to mention templates from other institutions and funders like ZonMW). 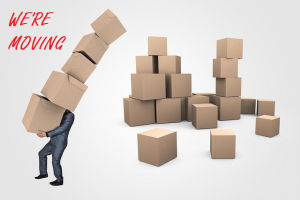 Questions in the templates overlap more or less and it is to be expected that in the near future requirements and templates will be harmonized. In the meantime, we will take the afore-mentioned templates into account in our data management courses. What is your opinion on research data management? How do researchers in the Netherlands think about research data management? The NationalCoordination Point Research Data Management (LCRDM) is doing a national survey and is looking for respondents. What is your opinion on research data management (RDM)? How do you deal with the RDM requirements of research funders and your own research institute? Is RDM part of your daily activities as a researcher? Do you need any technical facilities? Do you need (more) support? The National Coordination Point Research Data Management asks researchers to give their opinion on RDM. Your information is especially useful for the Leiden colleagues participating in the LCRDM working groups. Thank you very much in advance! In our data management courses we always discuss the way participants document and organise their data files. One of the questions is how to keep track of your data. Will you be able to find a specific dataset in due time? Will others be able to find and understand it? This is crucial if you or anyone else wants to use your data later on. One of the first things to do is to name your files and structure your folders in a consistent way. It is even better if you and your colleagues use the same standard. 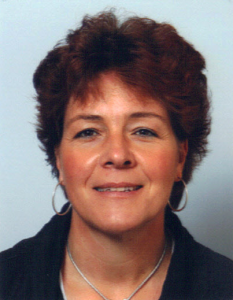 Dr. Liesbeth de Lange has successfully developed the GARP standard in her group at the LACDR institute (Faculty of Science). Rutger de Jong asked her how this standard came into being and how it was adopted. You can read the interview below. Inspired? Why not organise a ‘data organisation day’ at your institute, another nice idea born at the LACDR. Dutch parties involved in data management have joint forces in a National Coordination Point at Surf. Main goal is to allow the Netherlands to efficiently and effectively develop and implement management policy for research data. It does so by collecting and disseminating knowledge and information, bringing together the right people, facilitating existing initiatives, providing access to expertise and monitoring developments. * Working groups with representatives of Leiden University. To collect and disseminate knowledge on research data management both a wiki and a public website have been created. More information on the National Coordination Point and its roadmap (in Dutch) is to be found on the website : https://www.lcrdm.nl/. Where is my research data securely stored during my research? Is there a facility to share my data with collaborators from different institutions? In which data archive can I best deposit my data? What are the costs? Funders, publishers and the university impose new requirements on the handling of research data. Often researchers are not sure how to comply, which facilities exist, if any, and which ones are best to use. Therefore, as part of the Leiden University project on data management, a project team started to work on a catalogue for data management facilities for researchers from Leiden University. 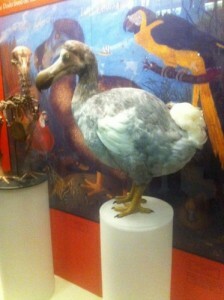 In Dutch its acronym is DoDo : ‘Datamanagement Ondersteuning en Diensten voor Onderzoekers’. Its main goal is to help researchers make a reasoned choice when planning for the management of their data. Additionally, the information gathered helps to identify gaps and underpin the need for new or different facilities. Firstly, the team created an overview of local, national and international facilities that are relevant to Leiden researchers. We used well-known models to enable views according to the phase in the research data life cycle, the private or shared research domain, the nature of the data, etc. We then identified the information that we wanted to record and filled out information sheets : functionalities, certifications, organizational features, conditions for use etc. Finally, we evaluated the services according to the requirements in the Provisional Data Management Regulation of the University. Facilities that meet all requirements are ticked, using them will help you comply with the regulation. Apart from the integrated models you can browse the catalogue by the stage of your project or by faculty. Faculties can, as part of their data management policy, indicate preferred facilities. According to the protocol of their faculty archaeologists, for instance, are expected to deposit their data in the EDNA archive at DANS. Although we are still working both on the presentation and the information included, we invite you to take a look at the ‘Leiden Research Data Information Sheets’. We welcome your comments at datamanagement@library.leidenuniv.nl. Next steps will be to explore the development of the catalogue with partners inside and outside the university, improve the interface and organize its content management in a sustainable way. In the coming years services will be added to come to a complete set of services to support the entire research process.